A review of various Linux distros running on the Asus 901 eeePC. Us web designers and developers have grown accustomed to working with Linux on development and production servers. Most of the web sites and web-based applications we build run on some flavor of Linux. Whether it’s PHP, Python, or Rails, Linux is serving it up. But what about the desktop? Most web designers will find Linux too cumbersome or foreign for the desktop. With no great alternative to Photoshop (Gimp is too much of a departure, Photoshop + Wine is OK), web designers are less likely to embrace Linux. Web developers may have an easier time with it, as most of the popular IDEs are available on Linux, but Windows and OS X still dominate the web design and development scene. What about the netbook? These tiny workhorses aren’t really suited for design or development, but they can be an essential device for doing email on the go, communicating with clients via skype, doing remote server administration, and fixing bugs quickly with a terminal and a wifi connection. When on the road the netbook can be the perfect companion, especially for those who prefer to travel light. Despite their being overshadowed by the slimmer, lighter laptops coming out, netbooks are still used and adored by many Linux fans like myself. I bought my Asus 901 eeePC from Amazon a few years ago — one of the few left in stock. Ever since then, I’ve been searching for the perfect Linux distro to suit my netbook needs. First and foremost, I wanted a netbook with solid state drives (SSDs), and the 901 is one of the last offerings from Asus to have SSDs. Evidently, the netbook was redefined overnight as a more medium sized laptop with physical hard drives and 100+ gigs of storage. I just wanted something compact and convenient for checking email, surfing the net, and doing small web design and development tasks when not at my desk. 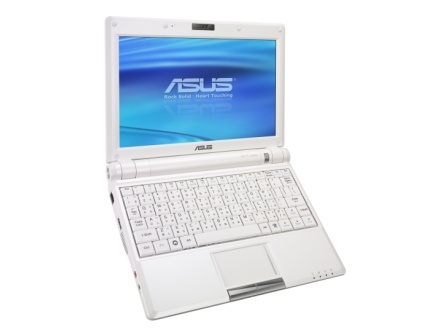 The Asus 901 eeePC, with it’s 12gb of SSD storage, fit the bill perfectly. 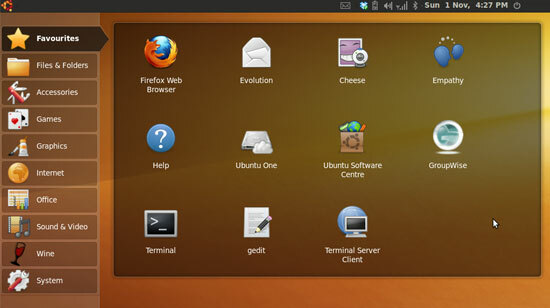 I have to admit I first tried Ubuntu Netbook Remix (UNR) while Canonical was still trying to dial in the interface. Their first attempt at it was counterintuitive and I ended up just reverting to the desktop view. The second round looked a lot better and I ran it for quite some time, it just felt a little too bulky. Canonical is now focusing their efforts on Unity, which I have not tried, but read and heard about it being disappointing. One of the cleanest interfaces for a netbook. It’s well thought out and easy to get to apps quickly. Everything works out of the box (except for MP3 and AVI playback, which is easy enough to install from Ubuntu restricted extras). Recognized both SSDs and the SDHC right away without any issues. It’s basically just Ubuntu with a netbook interface and the Maximus package installed to keep apps maximized. Close to 4gb of disk space required. That’s a lot of premium disk space on my SSDs. Felt sluggish, probably due to it being a derivative of Ubuntu. Although I have plenty of RAM on the netbook, Gnome sure does use a lot of it. The default mail app, Evolution, looks nice but is too slow for a netbook. Ditched it for Thunderbird. Kubuntu is my Linux distro of choice for the desktop and laptop. The interface feels cleaner and more like Windows 7, which I use on my primary desktop at the Intervals offices. I’ve found that developer utilities like Remote Desktop, VPN, NetBeans, and Subversion, feel more at home in KDE. The Kubuntu netbook interface, however, was really disappointing. KDE is my favorite desktop manager, but it uses a lot of RAM (more than Gnome). Using the same distro on all my Linux machines would have been nice. I’m not really into the plasma desktop. I prefer traditional desktops. The earlier Kubuntu netbook utilized a tabbed interface that seemed to waste a lot of space on the screen. The newer netbook interface incorporated too many widgets that I would not use (news, weather, etc). KDE uses a lot of RAM. Another install that requires close to 4gb of disk space. Too similar to UNR in that it’s a Kubuntu install with a few extra packages to give it a netbook appearance. Lubuntu is a great Linux distro for those who want to revive older hardware. Because it uses the LXDE desktop manager, Lubuntu consumes far less RAM than its Gnome and KDE siblings. I’ve run Lubuntu successfully on older laptops where I needed to do remote web development. Lubuntu is essentially a life saver for web designers and developers who don’t have the budget to purchase the latest and greatest hardware and just need to get the job done. The netbook distro, while being fast and minimal, still isn’t very good on the netbook. One of my favorite distros, especially for older hardware. The LXDE desktop manager performs far faster than Gnome or KDE. Great choice for older netbooks. Lubuntu is working to get an official endorsement from Ubuntu. Tabbed netbook interface not what I’m used to. The netbook interface is still a work in progress. I dont’ use enough apps to organize them into tabs. Again, just a series of extra packages loaded onto Lubuntu to give it a netbook feel. When I first installed Meego on my netbook I fell in love with it’s super fast boot up and snappy interface. Meego had an interesting and clever twist on the netbook interface. I say ‘had’ because the Meego project is all but dead since Nokia partnered up with Microsoft and bailed on Intel. After attending a panel on Meego at OSCON 2010 I was super excited to try it out. The presenter told of a very promising future for Meego and devices of all shapes and sizes, from a netbook to an in-car display. Boots up super fast, less than 12 seconds (The MeegopPhilosophy is that devices conserve the least amount of battery life when they are not on). Easy to install and fairly customizable. Not enough packages in the repos. I’m guessing they were going to leave most of the app development up to the hardware manufacturers using Meego in their devices. Have to compile the gstreamer plugins to obtain MP3 and AVI playback. This is a difficult task in and of itself, and still leaves kinks to be worked out to get media playback to work properly. Moving from 1.0 to 1.1 required removing 1.0 and installing 1.1 from scratch, after which wifi broke. How do you miss something like that in a netbook distro? Had to get my hands dirty tweaking the startup scripts to turn it back on. In retrospect, the overall bugginess of the distro felt like the developers were losing steam. The Interface was entirely driven by social media. I did not want my Twitter streams all over my desktop. I would rather use a browser or Tweetdeck for that. Facebook integration was in the hopper. 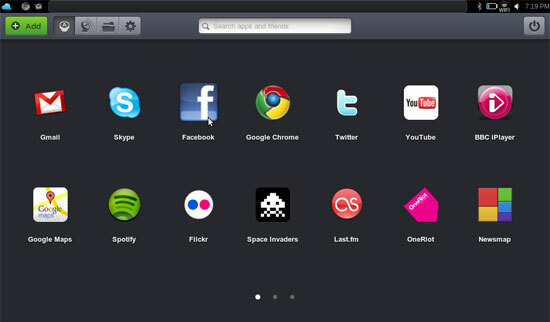 The snappiness of Meego was overshadowed by the lack of apps available. If you turn off the social media widgets, like I did, the desktop is a waste of space. Wish I could have customized it. The icons used for clicking around were a little difficult to figure out. Meego 1.1 dropped YUM for Zypper. I have no idea why they did that, especially considering how widespread YUM is. Nokia killed Meego by selling out to Microsoft. I was holding out for the Nokia smartphones running Meego, now I’m running Android. The cartoony characters bugged me, and many others. The Meego interface felt too playful and not professional enough. I had to try a few movie players before settling on one that would allow me to pause and resume movies. I read some great reviews about Jolicloud, a netbook distro that runs it’s apps “in the cloud.” And I’ve got a few friends trying it out. Seems like a good Linux distro for introducing folks to Linux on the netbook. Once I had it installed I did like it, but for personal reasons, the cons outranked the pros. Sounds very promising, especially for Linux newbies. Easy to install apps without having to go through a package manager. Other distros have this as well, but Jolicloud makes it the primary method for adding apps. Updates handled elegantly in the background without interfering with the interface. Everything worked out of the box, including Wifi, MP3 playback, and SSD recognition. My 4-year-old figured out how to navigate Jolicloud quite easily and use TuxPaint to draw pictures. Most of the apps “in the cloud” are just stripped down browser windows containing a web site (i.e. Twitter, Facebook). I ended up uninstalling most of these apps and simply used a web browser instead. Jolicloud will not work unless you are logged in to my.jolicloud.com. Umm, no thanks. That’s a deal breaker. I realize this was to keep the desktop persistant across devices, but at least let me opt out and give me the ability to manually sync my devices. I have no idea what the folks at Jolicloud are doing with the data they are accumulating, but I can guarantee they are accumulating as much data as they can. Crunchbang linux is a minimalist distro. Everything that can be stripped out has been stripped out, including the desktop manager. Only the window manager, Openbox, remains along with enough lightweight packages to have a minimal, fast, and clean user experience. For those web designers and developers who love minimalist design, Crunchbang should be your first stop. Crunchbang does take a little getting used to, so be prepared for a small learning curve. Although Crunchbang is not technically a Linux distro for netbooks, it’s lightweight and minimalist approach make it ideal for netbooks. Installed required only 1.7gb of disk space and took only a few minutes. Consistently uses less than 100mb of RAM. MP3, AVI, VLC all work out of the box. Built on Debian “squeeze”, entirely eliminating its dependence on the Ubuntu ecosystem. Access to plenty of packages from the Debian repos. Crunchbang gives new life to old hardware and is now my distro of choice for older hardware (used to be Lubuntu). Conky is enabled by default and displays a list of keyboard shortcuts for quck access to menu items. The Windows key is assigned to the super key by default, making it extremely fast and easy to launch apps. Awesome community behind it that is very patient and supportive of newer users. After installing the first time, a one-time script will launch to help you customize a few remaining items to your liking. Also available with the XFCE desktop manager, in case the absence of a desktop manager is too daunting. Extremely minimal interface. Though this point is a pro for me, it may be a barrier for those newer to Linux. The missing start menu takes a little getting used to. It is accessed by right clicking on the desktop. Newer Linux users will want to install the XFCE version. Difficult to customize, however, looks pretty good out of the box. Having issues getting the secondary SSD to mount, which would be nice to have for the extra 4gb of storage it provides. Also had permission issues with the SDHC card, but was able to overcome by changing perms on the card once mounted. Definitely requires some familarity with Linux. Comes with a strong disclaimer about possibly taking down your system. Depending on what you want your netbook to do, any of these distros will work for you. It’s as if each distro was designed with a different type of user in mind. 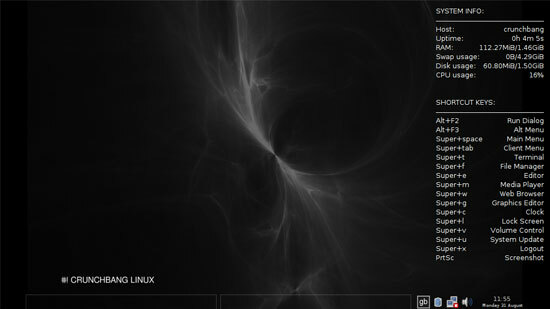 That is one of the beauties of Linux, the community has churned out variants to suit just about everyone. Looking for complete social media integration? Go with Jolicloud. Looking for a mini powerhouse? Go with UNR or Kubuntu. Trying to revive an older netbook? Lubuntu or Crunchbang. This is just a glimpse into the world of Linux, focused mainly on the netbook. There are so many other distributions and uses for Linux if you simply Google around a little. However you decide to incorporate Linux into your work flow or lifestyle, just be sure to have fun with it! Meanwhile, please share about your experience with Linux as a web designer and/or web developer. what do you mean by replacing RPM with zypper. they are different tools for different jobs. zypper is a package manager and it uses RPM packages. I had Arch Linux (http://www.archlinux.org), and the Subtle WM (http://subtle.subforge.org) running on my netbook and I really enjoyed it because it was fast, minimalist, and made great use of the limited screen real estate provided by netbooks. Subtle is a manual tiling WM, with Ruby bindings (the entire configuration is written in Ruby, and you can extend the WM with “sublets”, they’re like applets written in Ruby). Probably a good catch for a Ruby developer who is comfortable with Linux, and likes to spend a little time setting up their WM/environment. I’m surprised I didn’t see Fuduntu in this test, as it is a fantastic distribution for Eee PCs (in my biased opinion of course). cosku, I should have clarified. No, Meego did not replace RPM packages. But in version 1.0 I could install and update packages from the command line using YUM. In version 1.1 YUM was replaced with zypper. My background with RPM systems is primarily using Red Hat and CentOS, where we do everything with YUM, so it was change on Meego I wasn’t expecting. Rob, I’ve always wanted to try Arch Linux. It looks like a great distro. In fact, I would have tried it next if I had not installed and settled on using Crunchbang. I’d recommend Arch Linux to anyone. Fewt, I had not heard of Fuduntu until now. I just checked it out and it looks like a promising netbook distro. 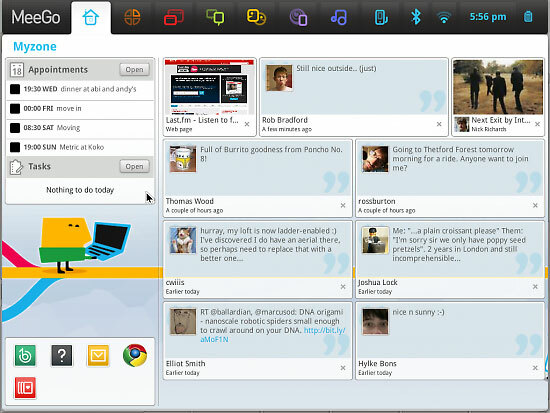 I do like Fedora and the netbook interface of Fuduntu looks nice. Thanks for he tip! 1- Very very fast dependency resolving. Arch doesn’t have package signing, fyi …. and contrary to what the fanboys would like you to believe, Arch + lightweight WM is no faster than a minimal Debian install + lightweight WM. Anyways, Meego had a lot more going against it than the package manager of choice. Zypper was the least of my concerns when using Meego. And the fact that Meego did not have many packages available meant I was hardly using Zypper anyways. Thanks for sharing your insight on zypper. It’s much appreciated. 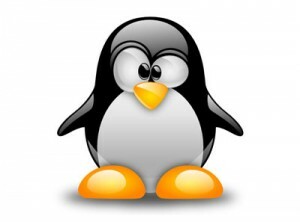 The various good features of Linux attract many users from all over the world. awesome post, the hunt for a distro that fits the netbook powerhouse keeps going on, but your post probably surely inspired, and boost productivity of many linux distro netbooks out there. thanks for sharing the knowledge!!!! Great write up (I know I’m coming late to the game but I still use my 901 almost every day). I’ve tried a bunch of different distros on mine and I keep going back to Puppy Linux. It’s a minimalist install originally based on Ubuntu but they are really pushing a Slackware fork now too. It’s default WM is JWM but there are versions (puplets I think) which run Enlightenment, XCFE, and LXDE. It also runs, by default but not necessity, in RAM which is pretty slick. It recognized everything right out of the box and can be installed in less than 20 minutes from clicking the download link. Oh, and the kicker, is that it has full access to the Ubuntu package repos so all your faves are just waiting for you once you’ve got the base installed. I ran a full install of Ubuntu 12 with Unity for a day or two but my fan never stopped. The poor hamster in my Atom processor thanked me when I switched back to a simpler WM. For a long time I ran Ubuntu 10.04 full install which consumed most of my 4gb SSD but I used a SD card for all my other storage which was fine…eventually I upgraded my SSD to 32 gigs…for some reason I never went back – probably because new Ubuntu doesn’t play as nice. I ran Android dev on it for a few days until I realized: “this ain’t a phone – it’s SO MUCH better than this”. On a side note – you can get touchscreen install kits for the 7″ screen which makes me laugh but I’d install one if I had it. I also tried Fedora on it but Fedora has always felt sluggish without high end hardware…maybe just me. All of the schticky UIs drive me nuts so I never tried Meego or Jollicloud and I unistalled Xandros the moment my eeePC arrived. Also UNR felt too restrictive, clunky, and space consuming to me – a full desktop is cramped but capable on a 7″ screen and your nod to openbox’s totally minimal right click only desktop is totally valid. Clean screen but full desktop is great. Thanks for sharing your thoughts. It’s never too late to talk about Linux. Puppy Linux looks awesome. I’ve always known about it, but did not consider it before because it seems too minimal and would require more customization than I’m willing to do. Puppy Linux looks like the perfect distro for a rescue CD or USB flash drive. I’m definitely going to put it on the USB drive on my keychain in case I ever need it. Puppy also looks like a good candidate to run on an Arduino board or other type of embedded environment. The possibilities! As for my 901, I may just have to try out Puppy at some point. Thanks again for the input!